Skymind, a Y Combinator-incubated AI platform that aims to make deep learning more accessible to enterprises, today announced that it has raised an $11.5 million Series A round led by TransLink Capital, with participation from ServiceNow, Sumitomo’s Presidio Ventures, UpHonest Capital and GovTech Fund. Early investors Y Combinator, Tencent, Mandra Capital, Hemi Ventures, and GMO Ventures, also joined the round/ With this, the company has now raised a total of $17.9 million in funding. The inclusion of TransLink Capital gives a hint as to how the company is planning to use the funding. One of TransLink’s specialties is helping entrepreneurs develop customers in Asia. Skymind believes that it has a major opportunity in that market, so having TransLink lead this round makes a lot of sense. Skymind also plans to use the round to build out its team in North America and fuel customer acquisition there. It’s no secret that enterprises know that they have to adapt AI in some form but are struggling with figuring out how to do so. 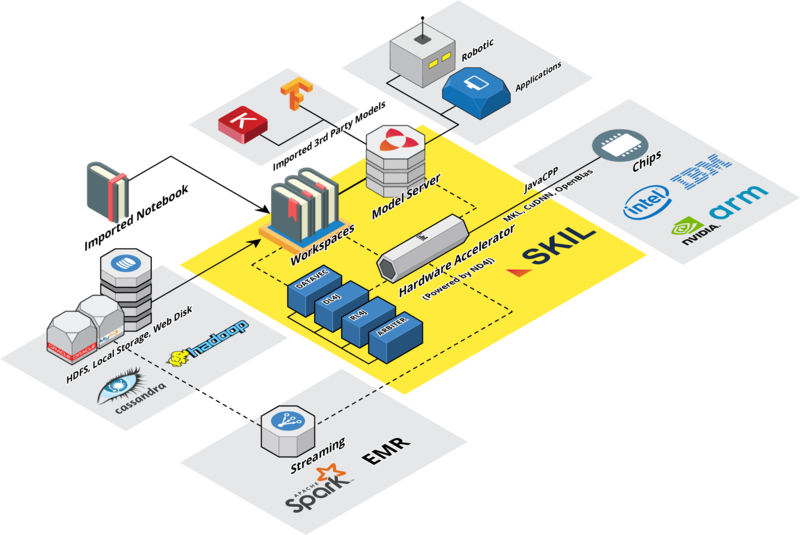 Skymind’s tools, including its core SKIL framework, allow data scientists to create workflows that take them from ingesting the data to cleaning it up, training their models and putting them into production. The promise here is that Skymind’s tools eliminate the gap that often exists between the data scientists and IT. Current Skymind customers include the likes of ServiceNow and telco company Orange, while some of its technology partners that integrate its services into their portfolio include Cisco and SoftBank . It’s worth noting that Skymind is also the company behind Deeplearning4j, one of the most popular open-source AI tools for Java. The company is also a major contributor to the Python-based Keras deep learning framework.